Hi Stampers! I'm burning the midnight oil tonight, very unlike me! I'm posting either really early or really late, depending on how you look at it. I just realized one of the challenges I'm playing in ends at midnight tonight, not midnight tomorrow. How do I always screw that up? I love when I stumble across two challenges that are a match made in heaven. 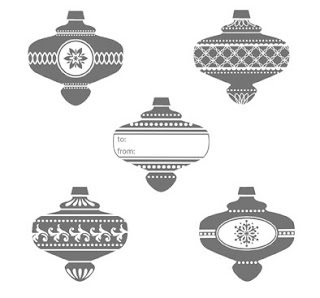 The sketch at Retro Sketches this week is awesome, and I interpreted it quite literally with the ornament and all. 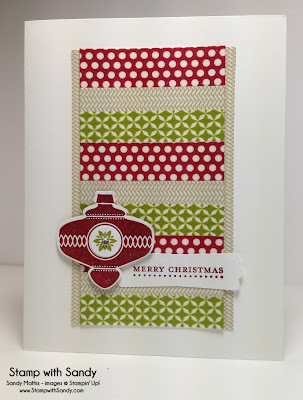 The center panel seemed like a perfect place to use some Christmas themed Washi Tape. Well, lookie here... The challenge at Less is More this week is Washi Tape! OK so I had to channel my CAS self which is hidden away most of the time. 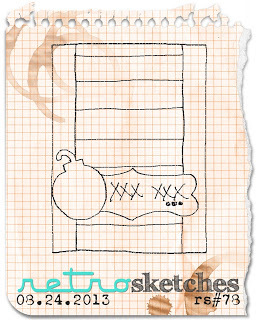 I shrunk down the sketch a bit to leave a good amount of white space. 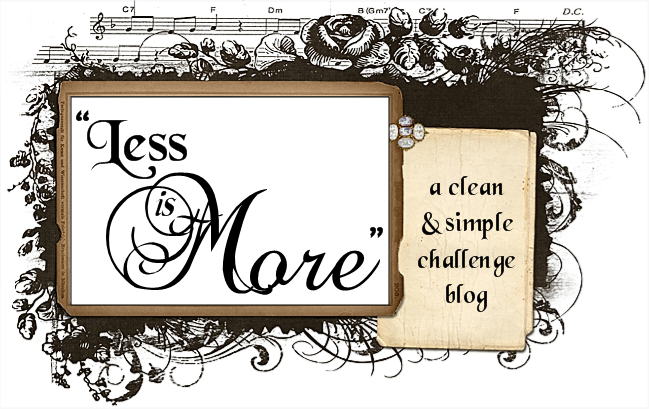 But is it Less is More enough? We'll let the design team decide! 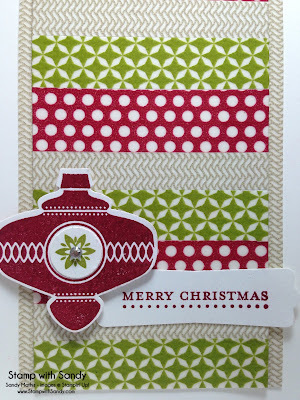 I just love this classic Christmas color combo. All the card stock used here is Whisper White. I covered the center panel with strips of Washi Tape, horizontally. Then, I took a slightly larger piece and covered the edges vertically. I love working with Washi Tape. It really is so much fun! Night, night! See you tomorrow! 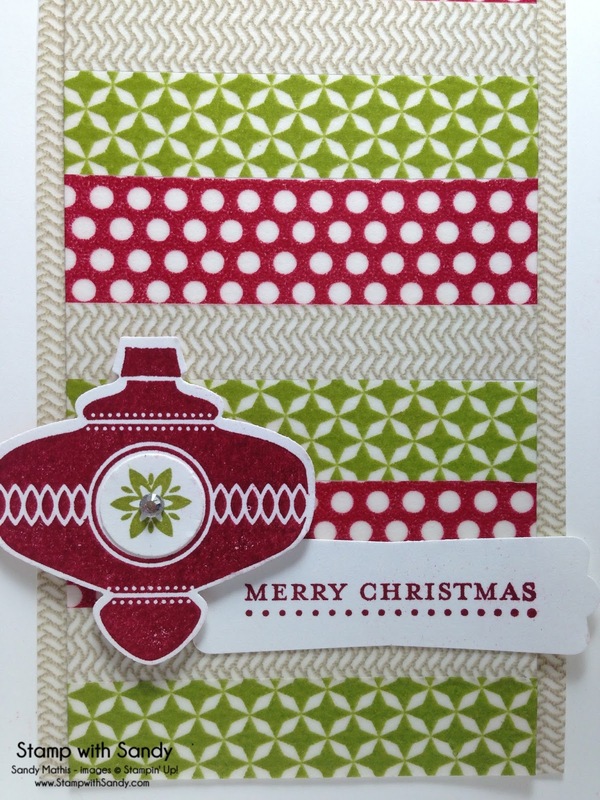 Sandy, I love your creative use of washi tape - your card combines these two challenges brilliantly! This truly is a great blend of the two challenges. Love what you've done with the washi tape here. Love how you've left all that white space around the card..it frames the whole image brilliantly!